Building sawmills is what we do. But who we are is much bigger than that. We are a group of people that have come together to fulfill a mission to you: “Making Dreams Come True.” Since 1982, that mission has been at the heart of everything we do at Wood-Mizer, whether it be our legendary customer service, continuing R&D projects, blades programs, industrial line of sawmills, or support and help to charities and mission-work around the world. In 1978, two inventors, Don Laskowski and Dan Tekulve, joined forces to manufacture their wood-working products. These inventions soon provided enough capital to develop and sell the Laskowski/Tekulve brainchild —a thin-kerf portable sawmill. With this innovation in 1982, the partners made converting logs to lumber a safe, one-person job. The company sold more than 1,300 sawmills in its first three years. More models were built and features added like hydraulic log handling was introduced in 1987. To bring the mills closer to customers, Wood-Mizer opened its first branch in 1984 with others following shortly after. Blades manufacturing was introduced in the late ‘80s, and the first ReSharp facility was opened in 1995. 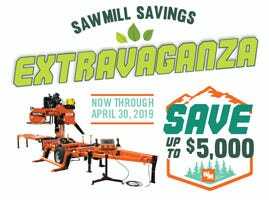 Today, Wood-Mizer has earned the reputation as the world’s largest manufacturer of portable bandsaw mills having sold more than 70,000 units worldwide. The company, headquartered in Indianapolis, has multiple locations to serve customers in the United States and Canada, and dealers throughout the world. European customers are served through the Wood-Mizer Europe Headquarters in Kolo, Poland. 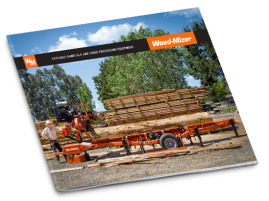 Wood-Mizer’s product line is not just limited to portable sawmills. By listening to the needs of customers, Wood-Mizer makes and sells industrial mills, blades, material handling equipment, edgers, resaws, and kilns. In 2004, both of the company founders sold their stock to the employees through an Employee Stock Ownership Plan (ESOP), which is a qualified trust that benefits the retirement of the Wood-Mizer employees. 100% of Wood-Mizer is now owned by its employees, meaning that each employee at Wood-Mizer has a personal stake in the work he or she does - so you can expect the best performance from us every time.